Bad habits are hard to break, and good habits are hard to start. That’s the mantra, at least. What I’ll be discussing here is a way to not only break bad habits, but instill good ones. This will make changing your life easier in so many ways. It’s all about micro-commitments and consistency. The most common definition of a habit is an acquired behavior pattern regularly followed until it has become almost involuntary. It’s a series of common behaviors that we all follow regularly. Let’s face it, most of our lives are robotic. Reach out for the toothbrush. Reach out and grab the faucet handle. Move the brush out of the stream of water. Reach out and grab the tube of toothpaste. Imagine if we had to follow this list of instructions every time we did this? It would be like Emmet in the Lego Movie. We’d need to constantly refer to instructions to perform tasks that we’d do every day. This would get tedious. Luckily, our minds remember steps and turn them into habits. When is the last time you consciously watched every step you took to brush your teeth? If you’re like most people, you haven’t in a very long time. In forming a habit around brushing your teeth, you’ve freed up your mind for other processing tasks. Most of the time, you probably don’t even realize how you finished brushing your teeth, but they are somehow nice and clean. This extends to many other things we do all the time. While this is a good thing in that it frees up our minds for other things, in mindfulness practice, it’s not a good thing. We want to strive to be aware of what we are doing every moment we live it. That’s another topic though, for another article. Here I’ll just stick to habits. We all know what bad habits are, so I don’t even need to explain these. I will say, however, that we all have them in one form or another. Many of these things start as habits and go full blown addiction, which is, again, another article. They all start out as habits in some form. Which means if we catch them early, before they go addiction, we have a fighting chance from the get-go at stopping them before they become detrimental. For simplicity sake, I’ll describe five steps to breaking bad habits here. It really does boil down to these five things. Anything else is an extension of one of these. You need to become aware of a bad habit before you ever have a chance of breaking it. This is not often as easy as it sounds. Much to our distaste, it’s often pointed out by those closest to us. Mindfulness practice really helps you see these things in yourself, but other people work well in the beginning. Luckily, there are times when we know when we have bad habits. This in and of itself is not often enough to get us to change. We have to want to change. 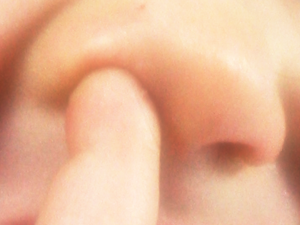 If you pick your nose, and love the way that your finger feels lodged up there, then you might not want to change. That’s cool if you live by yourself and you don’t damage your nose or introduce germs into your system, but it’s not it you live with others who find this disgusting. It’s up to you to WANT to change. You need to make a commitment to change. This is no small commitment either. It’s a large undertaking to break a bad habit. However, as you’ll see in the next point, it’s not so daunting when you look at it in a certain way. Here is where the real magic happens. This is where you find out what you’re made of. It’s in the consistent approach to daily weening yourself off your habit teet that shows you your true medal. You need to be consistent with breaking your habit. One slip-up can cost you more than you think in terms of confidence you have in yourself. The trick is to do small things each day and build up to eradication. Make tiny changes that you can live with and do one tiny change each day for a set time. It’s MUCH easier this way, even if it takes you longer to beat a habit. It will be more lasting, dare I say permanent if you do it this way. If you pick your nose, cut out the first time you do it in a day. Just the first time. When you wake up and right away reach for the gold, slap your hand away. Just that one time, then you can mine for the rest of the day if you like. Do that for a week, then add in the second time. Sooner or later, you’ll kick the habit for good, even if it takes you six months. You need to keep going no matter how hard it gets. It will get hard. Any wrote pattern that you perform multiple times a day will take some work to beat. It’s not for the faint of heart, which is why so many people have trouble breaking their habits. Remember, every day, just a little bit will work wonders. Similar to getting rid of bad habits, there are steps you can take to develop good habits. The trick is in micro-commitments. These small changes that you make to your day add up. It’s exponential. If you start small, you don’t disrupt your life, and are more apt to stick to things. Here’s a list of things that will help you build good habits. This is the micro-commitments I spoke of. Say you want to start meditating. Make a commitment to meditate at a certain time every day, for one minute only. That’s right, one minute at a certain time. Stick to that and add time as you see fit. Set an alarm at a certain time every day, and a stopwatch if you have to. No more than a minute to begin with. When you stick to that, you can increase the time you do it by another minute. This will add up and soon you’ll cement the habit into your daily life. Remember, start small and build up. It’s cumulative. If you miss the minute of meditation, hold yourself accountable and make yourself do two minutes the next day. Or, every time you miss doing something, write it down. You’ll get tired of writing things down and might stick to things just out of avoidance of the self-imposed punishment. Be serious about this and it will work. I shouldn’t have to say this, but you should focus on one habit at a time. Don’t spread yourself thin. That’s the fastest way to becomming a quitter. This is positive reinforcement. If you stick to something for a week, reward yourself with something nice. This will keep you motivated. You can even have a significant other or friend in on it with you and you can both hold eachother accountable and reward eachother if that works for you. If you fail, you fail. It’s better to fail than to never attempt something. Just pick up where you left off. This is not a zero-sum game, and you get as many chances as you need. Winning isn’t about getting it all on the first try, it’s about sticking it out till you get your goal. Set goals for yourself. Make them small and hit them. Keep a running list and look at it from time to time. You’ll be amazed how good it feels to see a list of goals that you set for yourself and hit. Even if you’ve failed numerous times, you’ll see the winners and feel like one, cause, you know, you are a winner, even if you don’t know it yet or believe it. Visualization is powerful. If you can see yourself doing something or being a certain way and experience that in your mind, it’s extremely powerful. Close your eyes and FEEL what it’s like to be the change that you want for yourself. Really get into it. What do you feel like? What do you see, hear, feel, taste, and smell? Make it REAL for yourself. Do this once a day and you’ll be surprised how motivating it can be. You can even make this a habit, but don’t get sidetracked into day dreaming. Stick to the work you set for yourself and you’ll get there. Something as simple as a notepad to keep track of your progress is amazingly helpful. You can use a timer if you’re setting aside a small amount of time each day to build a good habit like meditation or mindfulness practice. Also, there’s some great software called Goals on Track that can help you not only track progress and time, but provide strong visualization tools as well, and it works on smartphones. Change is difficult. It takes real work. Many people don’t want to work hard at anything. That’s not in and of itself a bad thing, and it doesn’t make you a bad person. It’s just choice, or things in your life that get in the way. The trick is to pull yourself up again and give it another go. Here are some reasons we fail. We are used to living in an instant gratification society. Advertisements and the media lead us to believe that we can have it all now, and that we deserve it all now. It’s a marketing trick. Don’t believe the hype. Seldom is success made overnight, and those articles that make it seem so are selling you something. Change takes patience and time. Learn patience. Read Outliers from Malcolm Gladwell if you don’t believe me. It will change your perspective something fierce. Ever get upset and eat a bucket of ice cream to feel better? I have. It makes you feel great, but then, you feel it later. The sugar crash and the frustration with yourself and your “weakness”. You might even get depressed a bit. The next time this happens, see it for yourself. It’s there and it’s part of you. Don’t kill yourself over it. Just resolve to make a change right there and realize that you don’t really need it, and never did in the first place. I know… “wishful thinking”, but believe me, just try it and see for yourself. Do it earnestly and you will be well on your way to change. This is all about being aware of our bad habits. An object in motion stays in motion until acted upon by an equal of opposite force. If we don’t see our habits, we won’t change. It helps to practice mindfulness. This will help you see your bad habits on your own. Aside from that, most likely, if you have bad habits, others will always be more than happy to point them out. Don’t get angry with them. Take it as a cue to better yourself, and thank them for it. They just gave you a gift more valuable than gold, even if it feels crappy at the moment. Self confidence is not a commodity, it’s a luxury these days. With the media constantly telling us lies and half-truths, and selling the glamorous people like they are somehow better than the rest of us, it leaves us feeling empty. Realize please, right now, that you’re friggin awesome. You are a bio-machine capable of processing trillions of bits of data a second. You can move and feel the world around you. You can save an entire colony of ants from extinction with the wave of your hand. You can light a fire and unleash one of the most powerful forces of the universe. You can love so fiercely that you can alter the path of another person’s life. You can create art, music, laughter. Seriously, read that again and again until it sinks in. There’s nothing trivial about our existence. You CAN change, you just have to make consistent baby steps and stick to them. If you fail, so what? Start again, and again, and again, and again, till you finish. It’s not a competition or a race. We are ALL different. Just know that you can do it, no matter how long it takes. Pick yourself up and do it again. No worries. If it takes you years to change, you’ll still have done it in the end and it will be worth it. Just don’t give up. That is how to make mindfulness a habit. If you found this helpful, please share it with others. There are social links on this page, or just email the link to a friend. Let’s help as many people as we can.